For those who have been injured in a motor vehicle accident; getting immediate medical attention can have a big impact on the course of their recovery – as well as their ability to seek full and fair compensation for their injuries. Motivated by financial gain ” If you were really injured – you would have gone to the hospital” Anyone who declines immediate medical attention – must be fine and therefore fraudulently looking to receive benefits for which they are not legally entitled. Causation – Based upon the length of time between the car accident and the medical documentation of injury – it is highly probable that the injuries where caused or worsened by some incident other than the motor vehicle accident – and therefore the insurer should be absolved from liability. Failure to “Mitigate” further damages – Delayed treatment can make injuries worse and rehabilitation more difficult. Before an individual can be treated for an injury, the injury must first be diagnosed. Insurance companies may argue that you are partly at fault for your worsening injuries and therefore their financial obligations to you should be reduced. Your failure to seek medical attention strongly affects your ability to receive compensation if and when injuries manifest into something serious. Insurance companies will take every opportunity to deny benefits based on your refusal to accept medical attention or tardiness in seeking care. Your tendency to “power through” pain and discomfort be damaging to your case, by strengthening the insurance company’s argument against you. Why Do Some Accident Victims Refuse To Be Examined By EMS? During traumatic events it is the human bodies natural defense mechanism to produce adrenaline which can increase heart rate, blood pressure, muscle glucose levels and dull or mask the immediate pain of an injury; resulting in injuries that are not immediately apparent. Relatively minor injuries can show up even 3 or more days later. Head injuries may not be obvious until several days or weeks after. Being in state of shock and disbelief can tremendously impair an accident victims decision making skills. Rendering them unable to recognize how rejecting EMS treatment can impact future recovery. You tell your self you’ll be fine! It’s common for victims to feel fearful of injury symptoms and pain in the days following an accident. For some, the thought of serious injury can be overwhelming leading to periods of denial. Denial is a natural coping mechanism that in some situations can be a good thing; giving an individual time to adjust to a painful or stressful issue. With regards to car accidents however, denial can interfere with treatment and rehabilitation. In some circumstances, injury victims do not not seek medical attention for several days following an accident. Even when they have symptoms of something possibly serious; they attempt to use positive thinking to power through their pain in hopes that it will just go away on its own. Financial and family obligations play more of a role in EMS refusal that one might initially think. While in a state of shock its common for injured persons to be more concerned with other vehicle occupants (such as children, spouse) or financial obligations (such as attending scheduled meeting or getting to work on time) than their own physical well being. Many people tell themselves they “will be just fine” and they “have no time to be injured”. They think if they can just get through this moment – they will deal with any possible injuries later. In limited situations, medical treatment may even be refused based on the individuals spiritual beliefs that prevent them from certain medical procedures. Some groups even recommend that their members reject medical attention in favor of prayer instead. Allow the EMS to examine you – It never hurts to be medically checked. 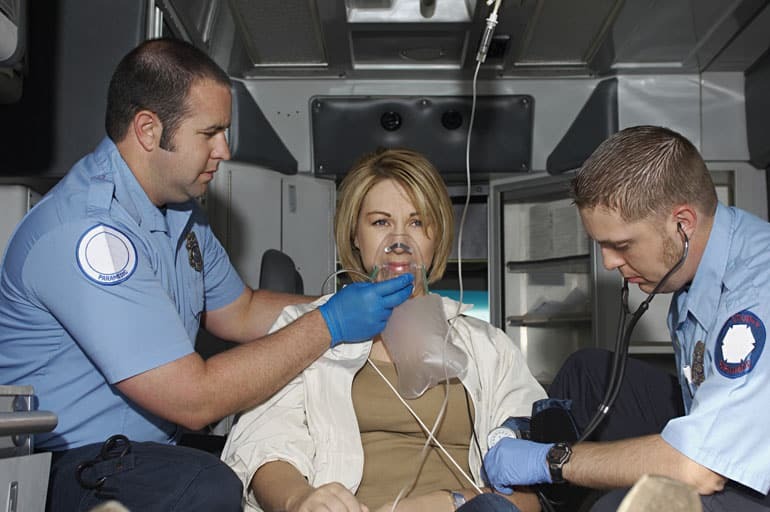 If there are any concerns medical personnel can tell you what to be alert for. If everything checks out well, you have some peace of mind. Call police to investigate the accident. Have someone take photos accident vehicles exactly as they are, showing location, weather conditions and roadway marks. Take date stamped photos from several different views, showing back, front and sides of vehicles. This crash scene evidence can be used by accident reconstruction experts to illustrate the potential for serious injury. Seek follow up medical attention – It is important that you take any and all reasonable steps to minimize or prevent any worsening of your injuries. If you don’t, the compensation your receive may be reduced. Keep records of all care and follow-up visits. Evidence of your injuries and the medical treatments your have received are an integral part of your claim. Do not sign off with or give statements to the insurance company before speaking with an experienced personal injury lawyer. It is common place for insurance adjusters to request formal statements or offer extremely low settlement offers before the injured person even understands what their claim is worth. The amount of your personal injury settlement can greatly depend on the seriousness and legitimacy of your injury. Any claim for compensation must be supported by factual evidence. The medical attention you receive and any on scene accident/ambulatory reports can be very important. When the insurance company challenges your injuries, this information can be crucial in proving your losses. Without it, the fight becomes harder, but not impossible. We have the years of experience and knowledge needed to secure and protect your rights to compensation. The lawyers at the Kahler Law Firm are some of the most respected car accident litigators in the province of Ontario. If you have been injured in an accident, and did not seek immediate medical attention; all is not lost – our lawyers can still help you get the compensation your deserve.